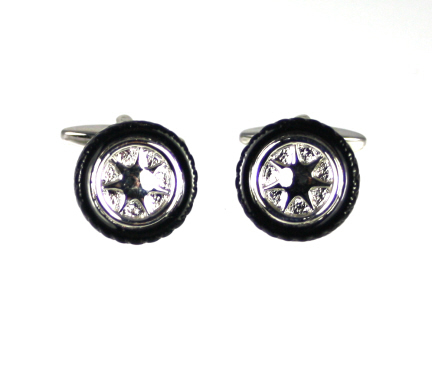 A set of two spare vehicle wheels conveniently attached to cufflinks. Not much use on a car but very handy on a shirt! Calling all mechanics! Not much use on a car but very handy on a shirt! Calling all mechanics! A classic sports cars teatime set gift for car enthusiasts or anyone who admires fast cars. A F1 Racing Car Mug for Formula 1 enthusiasts. Mini Motor Racing Tyre Novelty Clock. A nifty replica racing car tyre sat on a silver plynth with the word 'motorsports' embossed on the front.